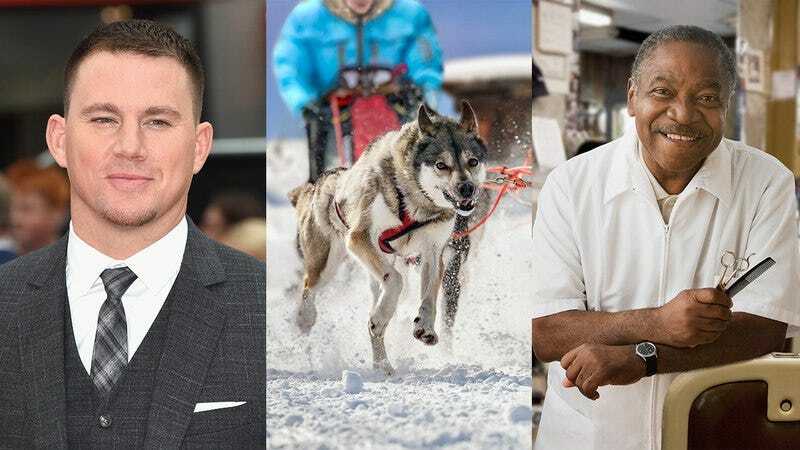 Here’s some Hollywood news that’s sure to warm your heart: Channing Tatum just did something totally selfless by announcing that he will compete in the Iditarod to give shy people something to discuss with their barbers. Channing Tatum announced in an interview with GQ this week that he has signed up to compete as a musher in the annual Iditarod sled dog race this March so that people who feel a bit uncomfortable in social interactions can have an interesting thing to chat about with the people who cut their hair. So awesome. Channing Tatum is stepping way up for his fans, and his generosity is incredibly inspiring. Tatum explained that he didn’t want to reveal too much additional information, since speculating about why on earth an A-list celebrity with no previous dogsledding experience would enter himself in a grueling, weeks-long race across more than 1,000 miles of Alaskan tundra would be an easy, low-stakes topic of conversation for timid people to raise with their barbers. The Step Up star added that his entire Iditarod performance will be covered in magazines such as People, Time, and Us Weekly, ensuring that bashful customers can read up on it in the waiting area at their barbershops in case they want to pepper their Iditarod conversation with timely, relevant facts. Hell yes—this rules. If you’re a shy person, or the barber of a shy person, stay tuned, because this is going to revolutionize your haircut experience. We can’t thank you enough, Channing Tatum!